As of today, the authorities have still not indicated the cause and have given us clearance to resume business. And even though the Federal Railway Administration has never required any suspension of operations, we feel strongly that a continuation of suspension of rail service for the purpose of additional proactive safety work continues to be the right course of action. ... We promise to continue to do the right thing for the entire community, which includes getting back to business when we feel we have done enough proactive safety work. 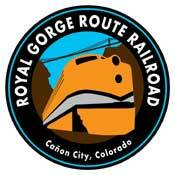 We plan to begin running passenger excursions again no later than this Friday, July 2 at 9:30 a.m. Being that the Fourth of July weekend is the high-water mark of the summer season, one can be sure that area businesses are counting on this new resumption date. It may be prudent to run a couple of track speeders protecting each direction with a tank of water. Whatever happens, may the cause be found and resolved, especially so that area residents will sleep easy at night once again.